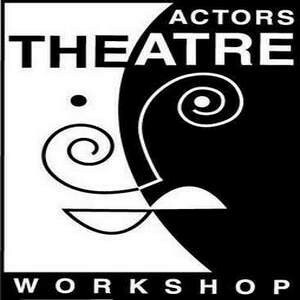 The Actors Theatre Workshop is an award-winning non-profit theatre, community center and educational institution that teaches innovative educational techniques and theatre principles to adults and children from all walks of life; produces classical and contemporary plays and documentary films that maintain the highest artistic standards; and develops new dramatic works that examine the social issues of the day. ATW was founded over three decades ago in a studio on Manhattan’s upper west side. In 1990, with an outpouring of public and private support, ATW opened its doors to its theatre complex and performance space in Chelsea. Since 1990, ATW has flourished as an artistic leader in the field, producing award-winning educational programs and productions that develop individual potential, create tangible change and liberate the talents and abilities in people from all walks of life – – from homeless children to the incarcerated to the highly educationally and economically privileged, while operating an organization of artistic merit that has proven itself worthy of public, private and civic support. Thurman E. Scott, ATW’s Artistic Director, Executive Producer and Founder, is a widely acknowledged expert of artistic project development. As a director/producer, he creates new products for stage, television and film, from concept to final production. Mr. Scott had the privilege to train in Europe and America with the major teachers of drama of the twentieth century, among them: Stella Adler, Lee Strasberg, Harold Clurman, and Sanford Meisner. By the time Mr. Scott founded The Actors Theatre Workshop in 1990, he was an established leader in the American theatre, carrying on the artistic traditions of his mentors with a wide reputation of respect for his cutting-edge directorial work, award-winning acting and innovative, successful community-based training and educational programs. At ATW he has evolved artistic disciplines that provide tools to change and develop individual potential. He has proven over and over that creativity is the great equalizer and unifier among human beings. He has changed lives of countless individuals with work that inspires hope.